From its inception in 2011 to now, Joshua Powell & The Great Train Robbery has become somewhat of a local legend. Since forming in Anderson, Indiana, just over four years ago, Powell and his ever-revolving door of backing musicians have released two full-length albums, and are now back with a third. This time, however, with Alyosha, Powell and company are on the verge of hitting a much grander scale. “Gun Fighter Ballad for the 21st Century” is a searing opener that doesn’t feel like a ballad at all. Rather, this hard-hitting “gun fighter ballad” gets the blood pumping in an oddly folksy way. The thunderous musical background of “Petrichor” follows this well, before the subdued “Cave of Clouds” slows things down for a moment. “The Farmer and the Viper” picks the pace back up once again thanks to a foot-stomping drum cadence and a tight riff. The faded-out ending of the song also helps add to its charm. The band’s lengthy ode to their home state, “Indiana,” starts out tranquil before slowly building as it goes on. At its musical peak, the tune feels more psychedelic rock than anything else; this intensity lasts about a minute before easing up once again and returns to its initial pace. The second half of the record opens with “Birth Control,” a dark tune guaranteed to send chills down the spine, thanks to the eerie “ooh’s” and the thumping rhythm. As a result, “Birth Control” is the strongest song on the entire record. The stripped-down “Decalogue” doesn’t bring much to the table in terms of what’s going on musically, but that certainly doesn’t hinder it from being a decent song. “Telekinesis” doesn’t change much in terms of staying power, even after adding more instruments back into the mix. Again, it’s not bad, just one of the weaker songs from the album. “Ernest Hemingway” is a solid song overall, but the latter half is what really sets it apart as another of the record’s high points. “Left The Academy” returns to the stripped-down feel from a few tracks earlier to close things out. 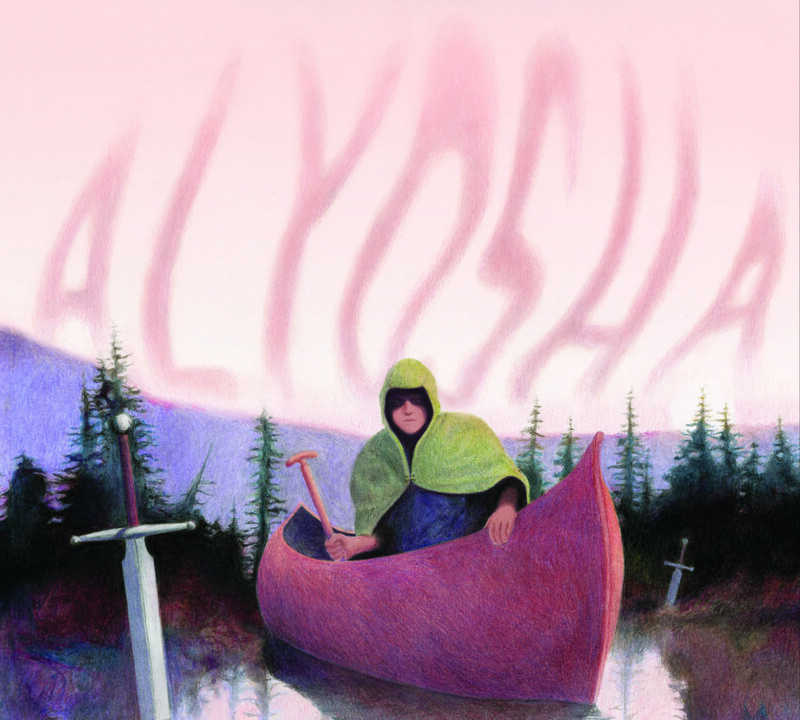 Though there are a few songs that don’t reach the level of the others, as a whole Alyosha is a fantastic album. In two words, it’s organic and deliberate. That said, these two words still don’t seem to do the album justice. Everything about Alyosha exudes quality, even in the less powerful moments.